What Does Digital Civil Society Look Like? What does digital civil society look like? It’s more than “networks,” I know that much. Digital civil society features some incredibly complex constellations of various types of actors working in cooperation, synchrony, and even independently of one another. ThinkProgress has beenkeeping a running tally ofwhich companies have not yet responded to protests, as well asreactions by targeted companies on Twitter, using Storify. 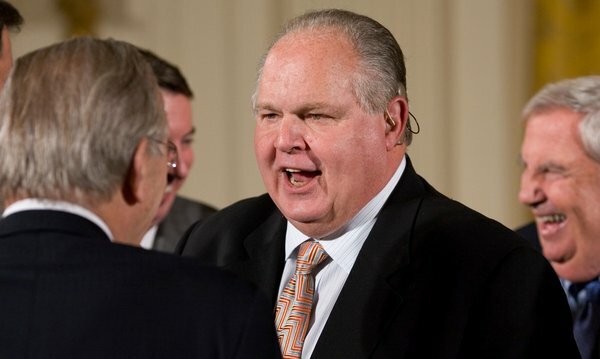 As theHuffington Postnoted, Reddit usersbegan an effort to persuade Limbaugh advertisers to withdraw their ad dollars. In addition to severalFacebook pagesand the Twitter feed@StopRush,Left Action,Credo actionandSum of Usorganized petitions targeting his advertisers in general….Shoq, the pseudonymous liberal blogger, has created a spreadsheet in an attempt to list all the various anti-Limbaugh efforts. Seriously, how would you conceptualize that? Could you draw it? Would it be an animation with networks and individuals and organizations interacting, directing their actions at Limbaugh advertisers? I don’t know the answers to these questions, but this is the complexity we need to be able to describe (and explain!) if we are to understand civil society in the digital age.